Location (Google Maps): Belmonte (Castilla-La Mancha), Spain. The Belmonte Castle (castillodebelmonte.com) is a medieval castle on the hill of San Cristobal, just outside the village of Belmonte in La Mancha, Spain. It was declared a historic monument within the National Artistic Treasury by a decree of 3 June 1931. 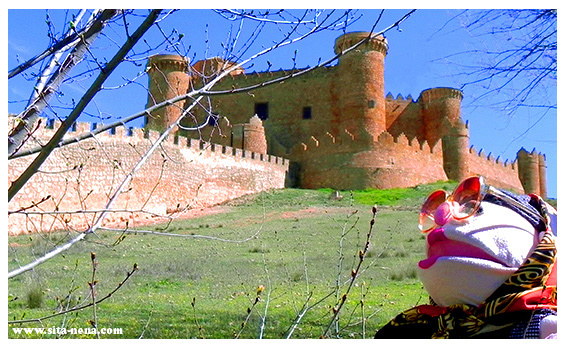 Belmonte Castle offers visitors a cultural visit along the history of the monument from the fifteenth century to the present. In addition to many activities throughout the year. Free online tours: click here to take a virtual tour of the castle with incredible view 360, tour 3D and photo gallery. Uniques experiences: Trebuchet Park (historical park of siege engines on a real scale), Days of terror (16,17 & 18 August: passage of terror at night), Medieval combat (22 & 23 Sept: Belmonte challenge), Historical recreation (discover the history of the castle), celebrations (aunbeatable site to hold a celebration), school visits (different way to learn history) and the caslte libary (books published by the Castle). Film productions: No doubt, the castle has been an incomparable setting for the film El Cid (Anthony Mann, 1961). This is the poster art for El Cid in which appears the castle. 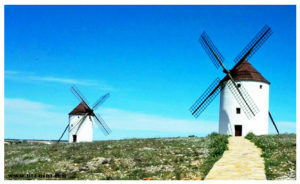 There are more films that were shot here: Flesh and Blood (Paul Verhoeven, 1985), Mad Love (Vicente Aranda, 2001) and El caballero Don Quijote (Manuel Gutiérrez Aragón, 2002). 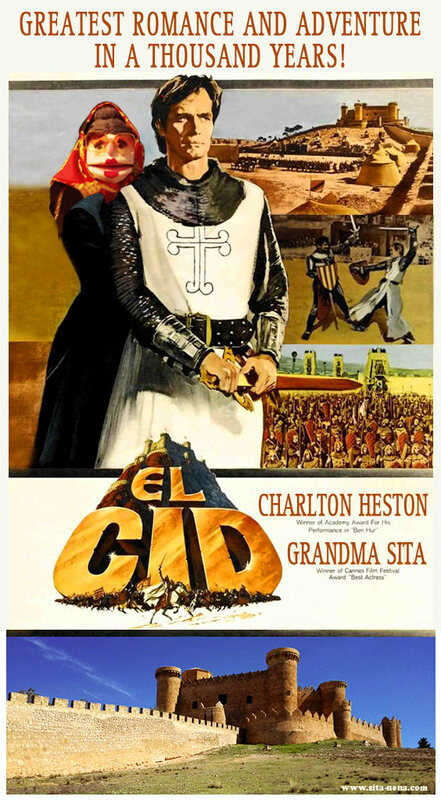 El Cid: film poster (special edition). Photography by César JL. 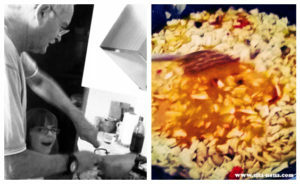 / Design + retouching by Sita & Nena. Belmonte Castle (Wikipedia, the free encyclopedia) was built in the second half of the 15th century by order of Don Juan Pacheco, first Marquis de Villena, during a time of convulsions and infighting in the Kingdom of Castille and so Pacheco wished to build up his territory and build forts around it before worse problems arose. The fortress was practically abandoned between the 17th and 18th centuries and was more or less ruinous by the early 19th century. The heiress of the house of Villena, Eugenia de Guzman, better known as the Empress Eugenia de Montijo and her architect Alejandro Sureda began a restoration project in 1857, keeping the exterior in the original style but updating the interior to modern tastes. The castle was then occupied as a French Dominican monastery for several year. After the Dominicans left, the empress’ great-nephew the Duke of Penaranda, Hernando Fitz-James Stuart e Falco continued the restoration and even lived within the castle. It later served as a prison for the Partido Judicial de Belmonte, and as a Onésimo Redondo academy for the Francoist ‘Frente de Juventudes’. It was abandoned and began to deteriorate again, before being made a cultural monument in 1931. It is now owned by the descendents of the empress’ sister Maria Francisca de Sales Portocarrero. It was restored again in summer 2010 and opened to the public.